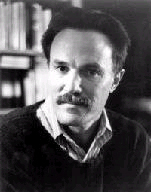 Frank Schaeffer (b. 1952) is a well-known and much sought-after speaker. He lectures on the Orthodox Faith, Christianity and the arts, and his conversion to the Orthodox Faith. He has served on the Greek Orthodox Archdiocesan Council and as the lay chairman of the Religious Education Committee of the Greek Orthodox Archdiocese of America. He is also the editor and founder of Regina Orthodox Press which publishes many Orthodox books. Schaeffer was born in Switzerland in 1952 to American missionary parents. His father, Francis Schaeffer, was a well-known Evangelical theologian. He attended boarding schools in England and Wales. After studying art in Geneva he worked as a painter and had a number of successful shows in Geneva, London, and New York. After, he began to direct and produce films. Schaeffer has made over 25 hours of documentaries including a series on medical ethics made with the then Surgeon General of the United States, Dr. C. Everett Koop entitled Whatever Happened to the Human Race? He has also directed four feature films: Wired to Kill, Headhunter, Rebel Storm, and Baby on Board (for ABC starring Judge Reinhold and Carol Kane). Schaeffer has lived in the USA, Switzerland, the UK, and South Africa. He and his wife Regina currently live in Salisbury, Massachusetts, and have three children. He works full-time as a writer of both screenplays and novels and also as a movie director and producer. Schaeffer has also collaborated on the musical comedy version of his novel Portofino currently being developed for the stage. Schaeffer is the author of numerous books, both non-fiction and fiction. Schaeffer is a controversial figure among many Orthodox Christians because of statements he's made, including those where he's said that he does not believe in God (although he indicates that he still receives the Eucharist at his parish). Alternately, he has also claimed, as in the title of his book published in 2014 that he is an "atheist who believes in God". He also has written that "In my lifetime I can’t think of a more insidious act done in the name of the Christian God than the Republican Party’s nefarious campaign to teach Americans that God opposes abortion." Furthermore, he has also written that the Russian Orthodox Church is "homophobic". Baby Jack: A Novel. ISBN 978-0786713912. Crazy for God: How I Grew Up as One of the Elect, Helped Found the Religious Right, and Lived to Take All (or Almost All) of It Back. ISBN 978-0306817502. Dancing Alone: The Quest for Orthodox Faith in the Age of False Religion. ISBN 978-1928653097. Faith of Our Sons: Voices from the American Homefront -- The Wartime Diary of a Marine's Father. ISBN 0786713224. Keeping Faith: A Father-Son Story About Love and the United States Marine Corps. ISBN 0786713089.
Letters to Father Aristotle: A Journey Through Contemporary American Orthodoxy. ISBN 978-0964914100. Portofino: A Novel. ISBN 978-0786713752. Saving Grandma: A Novel. ISBN 978-0786713912. Voices from the Front: Letters Home from the Soldiers of Gulf War II. ISBN 978-0786716586. Zermatt: A Novel. ISBN 978-0786714605. This page was last edited on July 30, 2014, at 20:42. This page has been accessed 46,448 times.